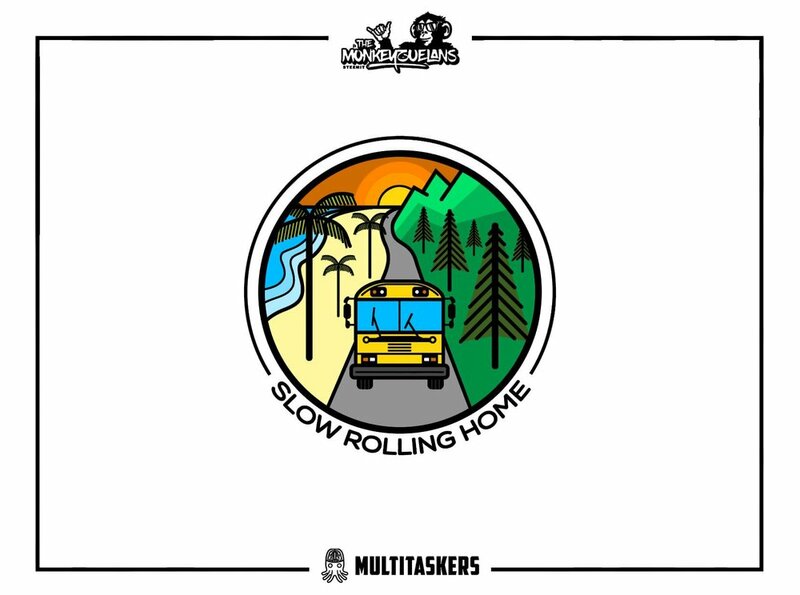 We're proud to announce the winner of the Slow Rolling Home logo design contest! Last week, we hosted a logo design contest on Amelia's Steemit blog to hopefully find a new logo for our bus journey. Thank you each of the designers who took time to get to know us, our style, and our bus! This is my first Steemit contest and I'm grateful for each of the designers who submitted logo contenders. See the original contest post to learn more about the bus, our journey, and see what influenced our choice. Two logos stood out from the rest, and only one could be our choice! The most important aspect I wanted for this logo is that it epitomized our journey, and specifically, our bus. 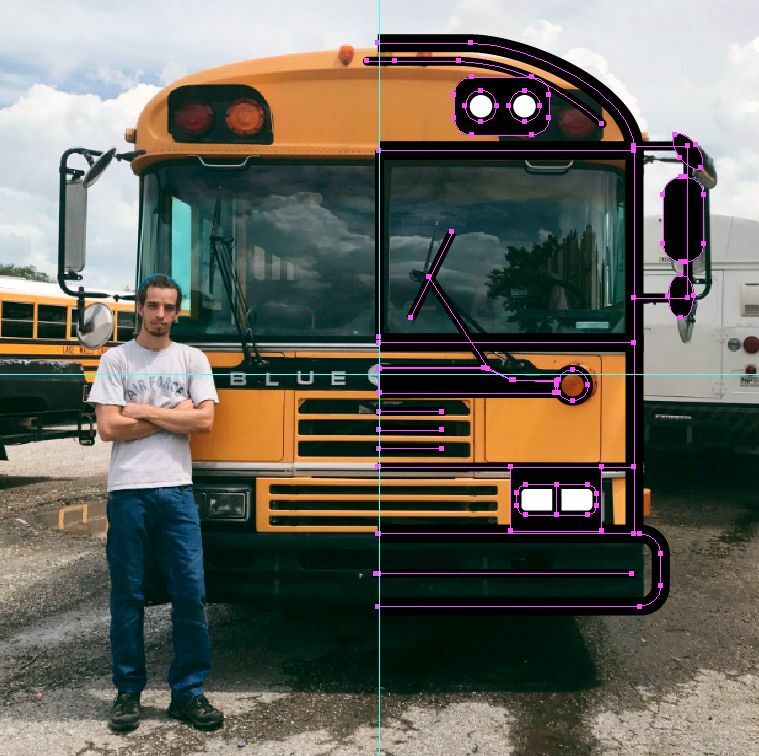 @mrlightning took great care in tracing the shape of our bus from the photo we provided and positioning it upon the world, as we aim to travel as far and wide as possible! At first glance, we were completely taken aback by their clear understanding of the style, journey, and personality I outlined in the original post. They have created a logo with clean lines, elements that can be used independently or together, and ensured the logo could be utilized in a variety of applications. The more I looked at the logo, which looks fabulous on a sticker, the more I saw details that made this an uncanny fit and well-thought out design. 1. The Slow Rolling Home journey intends to go from Canada to Patagonia, invariably on Hwy 1 / Pacific Coast Highway. 2. In each digital bus graphic, vector, and rendering I've come across, they always looked two-dimensional and somehow incomplete. The bus tires, which - just like any real tire - have 360-degree tread that does not "cease" (to the eye) when it touches the road. Windshield wipers. I would have never thought of windshield wipers, but they are up in the photo provided and give the windows a focal point, rather than making them something our brains think we should see-through. A groove in the bumper, which exists on our actual bus and gives depth to the front face, which is otherwise extremely two-dimensional. and translated a real-life, dimensional object into a tangible, relatable vector. We are thrilled with this submission and are excited to share how talented @themonkeyzuelans are. They shared their process in this post and the photos are incredible. 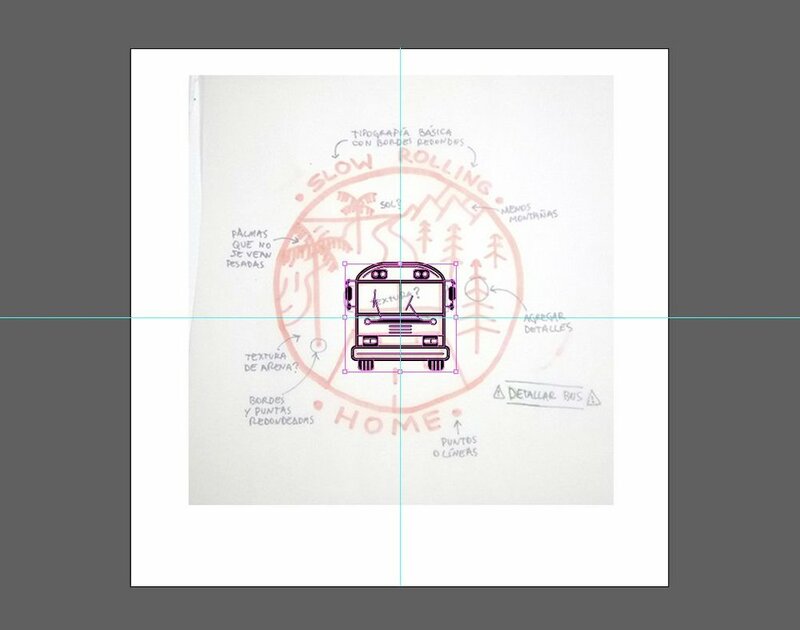 Our future Slow Rolling Home progress updates, photos, graphics, and products will bear this logo proudly. It's a true representation of our journey, our tastes, and our personalities.